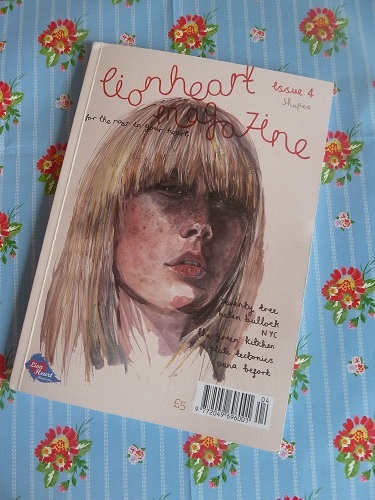 Lionheart is possibly my favourite magazine ever (and I’m a real mag-nut, so that’s saying something). It’s got pretty much everything I look for in a mag: clean lines, lovely thick matte paper, a good smell (years of working in book production have turned me into a passionate paper sniffer – don’t judge), beautiful design, incredible illustrations, a community feel, REAL ACTUAL WRITING YOU CAN ACTUALLY READ the list goes on and on. Issue four is all about shapes, a theme I found really interesting but hard to interpret when I was trying to come up with ideas for my contribution. In the end Hels (the wonderful editor) asked me to interview the fashion designer Helen Bullock, and I’m so glad she did. I love interviewing artists about their work, especially when they share my obsession with colour and pattern. I knew instantly I was going to really, really like her – and I was right. We met at Cafe Oto in Dalston, which is my favourite place to drink tea and do interviews. I interviewed Simon Costin from the Museum of British Folklore there a while back and it went really smoothly, although, this time around, I could barely hear a word when I sat down to transcribe it afterwards. There’s a top tip for aspiring journalists – never sit too close to the coffee machine! You’ll regret it later. 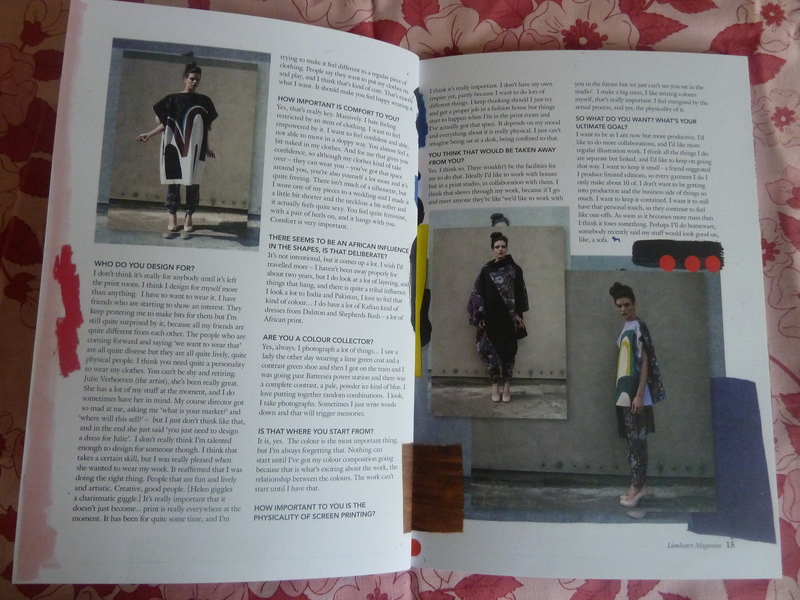 You can read my interview with Helen, whose work is so so inspiring, on pages 12-15 of the mag. 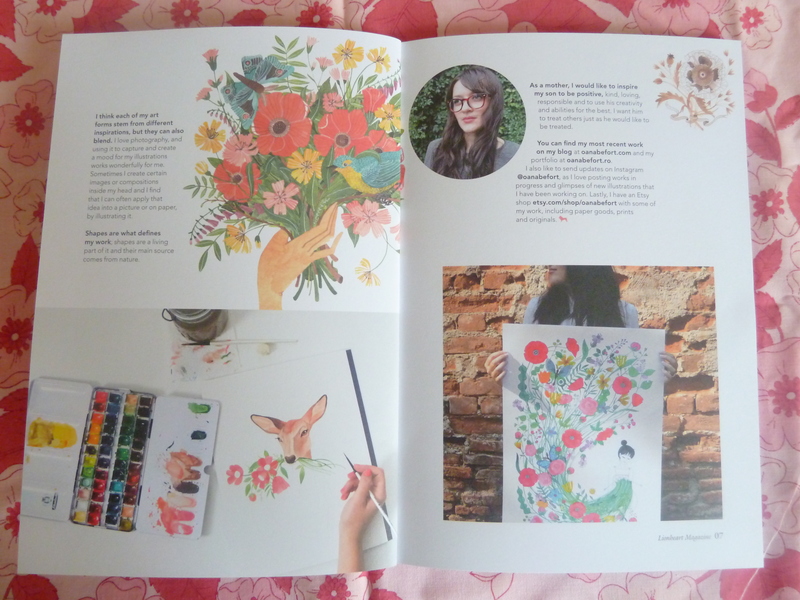 Helen decorated the spreads herself, I love the result – makes me want to get my paints out. There’s so much more to read though, and I mean actually read – there’s real content here, which makes a nice change. I particularly enjoyed Hels’ interview with Oana Befort. Her floral watercolours are so beautiful. 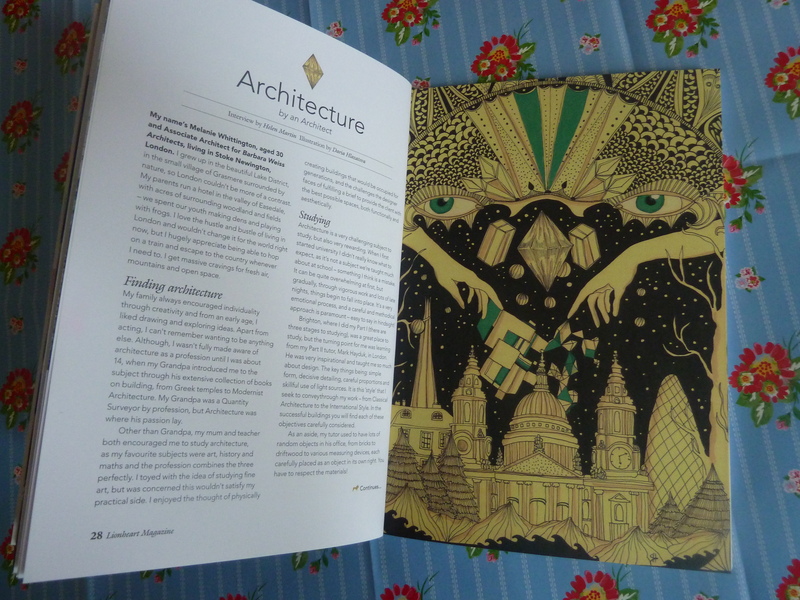 Hannah Bullivant’s piece on Margate really made me long for a cheeky weekend visit and Daria Hlazatova’s illustration for the architecture article is just… Daria is the BOMB. So, what are you waiting for. Head on over to the website and buy the mag here. I promise you won’t regret it.